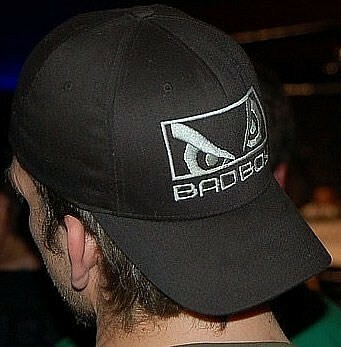 Bad Boy clothing was one of the first MMA clothing sponsors. With attitude-driven MMA apparel like this, being BAD never looked so good! Click on the images below to find discounted Bad Boy clothing from MMA Warehouse, including signature shirts from popular MMA fighters like Junior Dos Santos and Shogun! Bad boy’s MMA clothing line includes shirts, shorts, hoodies, hats & backpacks. Originating from Brazil, Bad Boy MMA apparel has since become a popular brand worldwide. Read along to find out more about Bad Boy and why it should be a part of your MMA clothing line! metal studs and foil accents), this MMA brand can take on any persona you wish to portray. Designed to accentuate an “in your face” attitude, Bad Boy MMA clothing is worn by both hard-hitting fighters, that guy who’s surrounded by hot chicks in the corner…and the hot chicks themselves. Sponsoring fighters like Lyoto Machida and Mauricio Rua, Bad Boy also makes on-site fighter-based training videos to show fans what REALLY goes on behind the scenes. Check out Bad Boy’s Lyoto “the Dragon” Machida Training Video to watch and learn Brazilian-style MMA drills and techniques. As you know, it has become difficult to attend an MMA event and not see the Bad Boy logo on MMA fighters and fans alike. So, what are you waiting for? Shop for an Alexander Gustafsson Bad Boy tshirt, bad boy logo, or other Bad Boy MMA apparel at the discount prices you deserve with our online retailers MMA Warehouse and eBay (available above)!